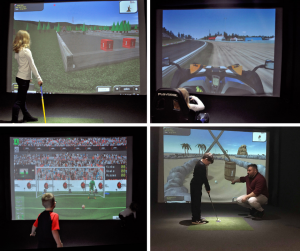 Looking for something to do with the kids this half-term then visit The Bunker Indoor Golf & Multi Sport Centre for all weather sporting fun! 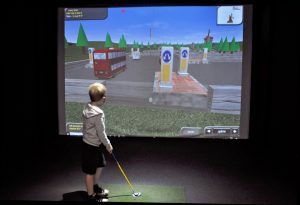 A great way to spend some time with the family on our interactive state of the art sports simulators! Perfect for a rainy day. ⭐️BECOME A FORMULA 1 DRIVER OR A PREMIERSHIP FOOTBALL PLAYER! 🏎100’s of interactive world famous race tracks, football stadiums and golf courses! 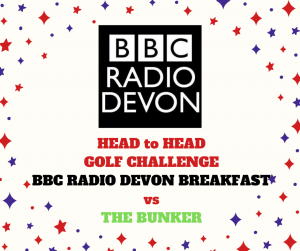 ⛳️Let the friendly Bunker Team set you up and off you go on your half term adventure! 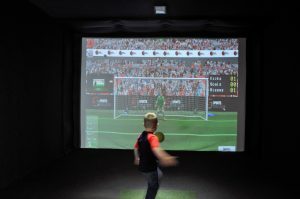 Our FOOTBALL simulators includes all your favourite Premiership and World Famous Stadiums and so many activities including the POPULAR Penalty Shoot Out and Cross Bar challenge that you will never get bored. 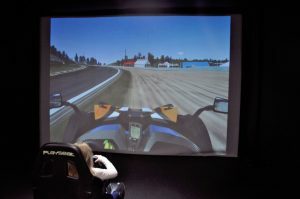 Our RACING simulator includes our state of the art racing seat, choose your car, choose your track and off you’re off! Foot Golf and Crazy Golf is brilliant for the little ones and the games can be adapted to ensure they can play with ease. ⚽️Different play modes for all ages & abilities perfect for the young and young at heart. Half Term fun for all the family. 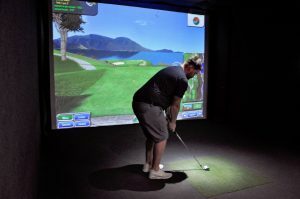 SEE OUR MULTI-SPORT SIMULATORS IN ACTION HERE! If you would like a quieter and more private bay for your half term fun then please ask upon booking. Just spectating? 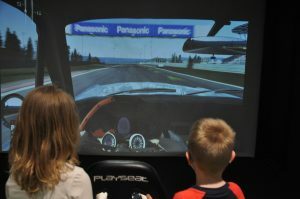 It’s FREE if you want to just watch as your kids have fun (but will you be able to resist a go!) Refreshments are available and there is FREE PARKING or we are just a short walk from Newton Abbot town centre. 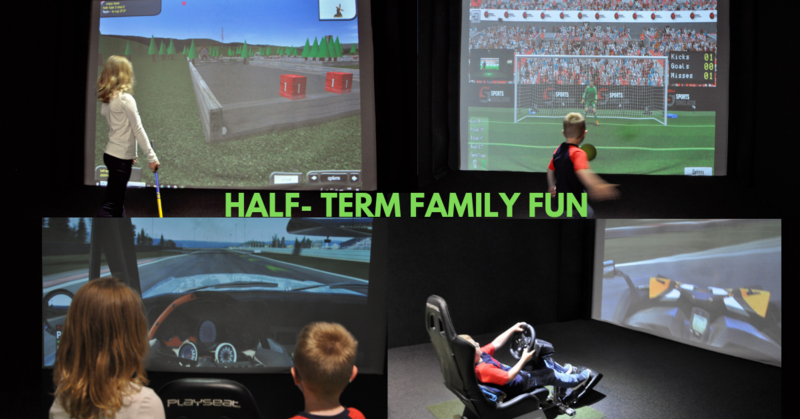 01626 906574 to BOOK your sporting half term fun WITH US!